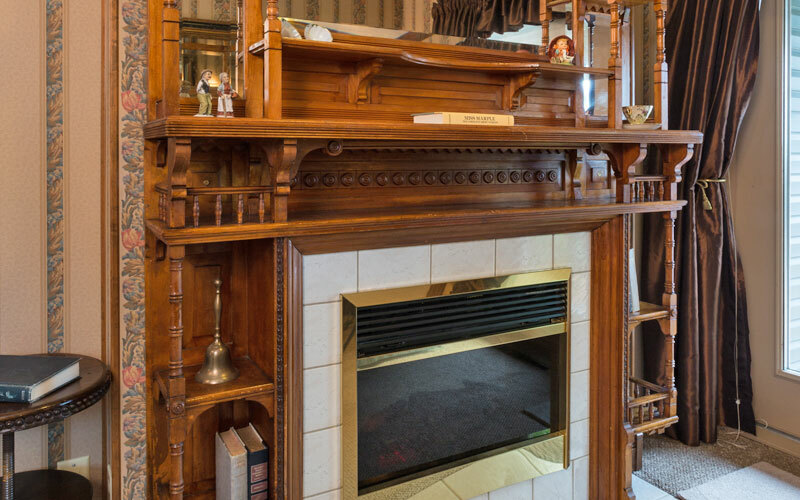 Step back in time with turn-of-the-century family heirlooms and a romantic fireplace set in an antique mantel. 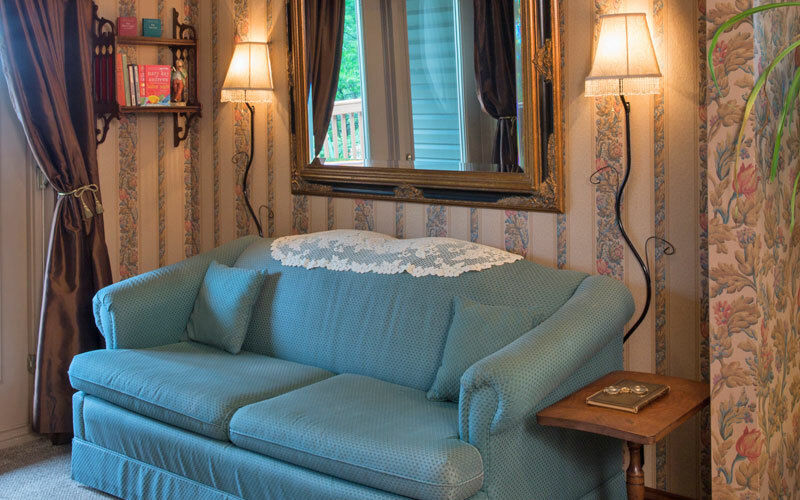 The Cozy Corner is our most luxurious and spacious room featuring a lakeside deck with scenic lake views that can be accessed through French doors in the sitting room. 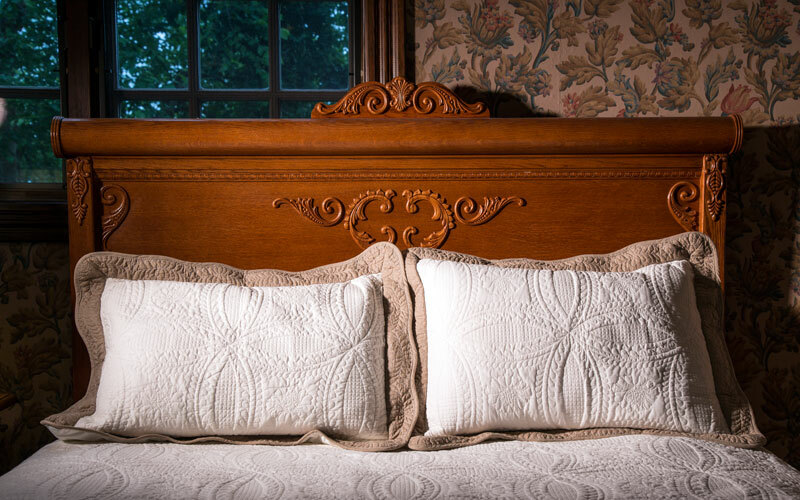 This luxury suite has a queen bed and a sofa sleeper. Unique folding doors allow the romantic double whirlpool bath to be used privately in the bathroom or open to the bedroom. 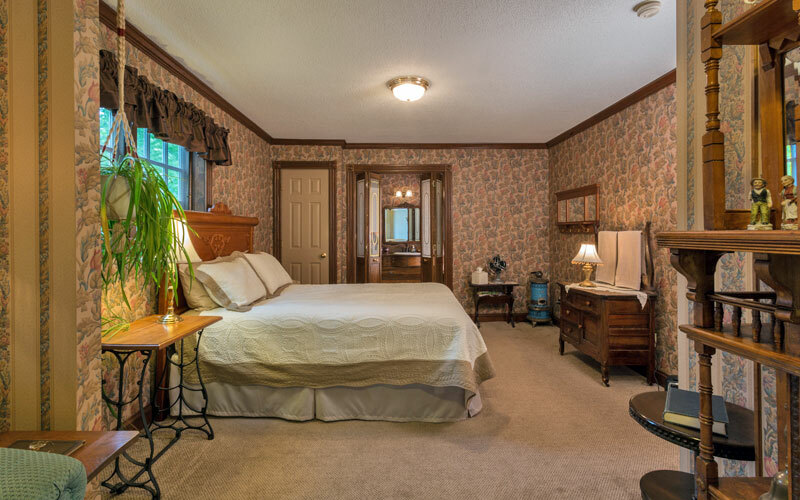 All rooms have private bathrooms, showers, irons, ironing boards, hairdryers, televisions, and alarm clocks. Wireless Internet is available throughout the premises. Your stay includes an evening snack, a home baked muffin to start your morning if you like, and a full breakfast. We serve a delicious home made breakfast in the dining room. 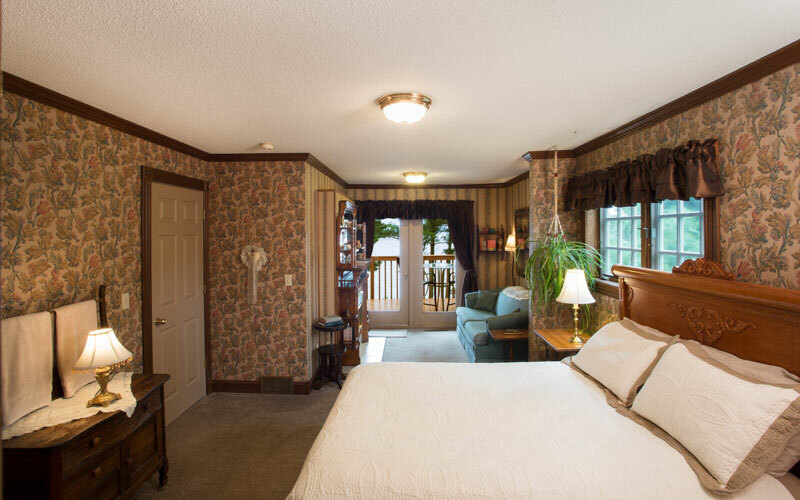 If you prefer to dine in your room we can add that to your reservation for an additional fee.